I think Reimer is right to be mad about this because it’s a team game and it’s total bush-league to throw your goalie to the wolves like that, especially in Toronto where, unless you’re completely clueless, you know exactly what will happen when you say that. At the same time, Carlyle wasn’t wrong in his assessment, he should just know better than to make it publicly. It says here that both are professionals and they should just put their differences aside and move forward because Reimer is the best option the Leafs have and they can’t afford to just run good players out of town for no reason. If you move Reimer, you have to replace him. The goalie market isn’t exactly flooded him top-quality available goalies. Who is available? Thomas Greiss? Justin Peters? Tim Thomas? There are a host of possibly available goalies, none of which jump out as being immediately being better than James Reimer, so why not just go with the guy you drafted and the guy you know? Bernier is coming off a great season, but also off hernia surgery. Who knows how he will rebound? Besides the injury, goalies are volatile anyways, but even if they weren’t, Bernier has exactly one season as a starting goalie in the NHL and it’s unwise to just assume he’s an automatically elite goalie. Since Bernier is no guarantee (no one is, in reality) why not go with a guy like Reimer, who at least has shown that he can be a starter in the NHL? Who has play-off experience and pretty good stats if you consider he’s played his whole career on a bad team. The odds are pretty good that Bernier is not as good as he was last season or that he doesn’t come back from his injury and/or gets re-injured. When one of these things inevitably happens, and if they Leafs move Reimer, they will be left without a legit starter and their season will essentially be over. Reimer gives them more insurance in this situation than anyone they could realistically acquire as their new back-up. Reimer has no trade value. If they elect to go in a different direction, the Leafs will just be wasting an asset. Based on what teams recently received for similar players, Reimer won’t fetch very much, if anything. Tampa got Ben Bishop for Corey Conacher and a 3rd rounder, a return that would satisfy no one if the Leafs got something similar. Consider that Bishop has more value than Reimer, even before he had such a great season this past year, and the only conclusion you can make is that the Leafs should just retain Reimer. To compound this lack of value, there seems to be at least 12 UFA goalies with NHL experience and ten or less NHL job openings in the net. Supply and Demand dictate the price of a commodity and at this time, that price doesn’t seem to be as valuable as the potential value in keeping Reimer on the team, making it a very obvious decision. This ties in with all of the other reasons: James Reimer is 26 and just entering his prime. He has playoff and starter experience and his potential is very high. There is no reason to ever trade a goalie entering his late twenties who has already proved he can be a good NHL goalie. Teams should be trying to find guys like James Reimer and play the odds that one of them will emerge as a star, not get rid of them for no reason: basically, he’s the perfect age, has experience, tons of talent and to top it off, you don’t even have to rely on him being great. At worst, he provides you with insurance and one of the league’s best back-ups. 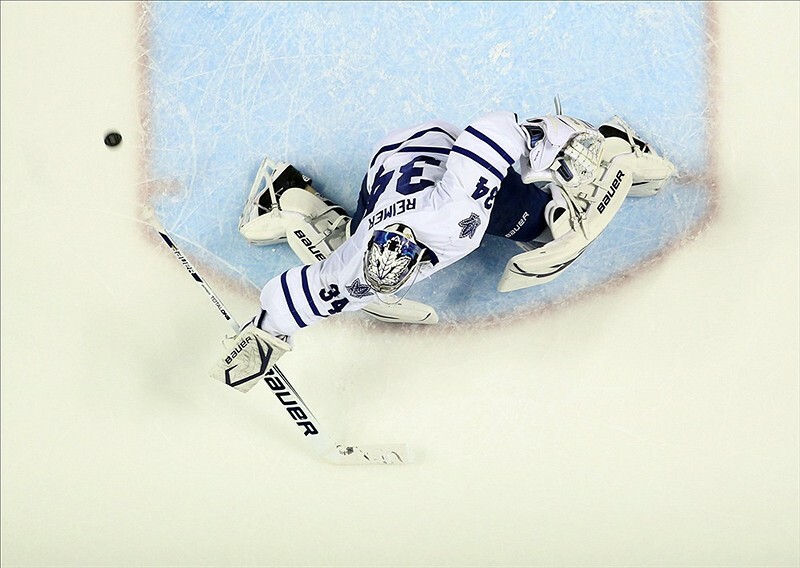 It’s Really Not Even a Question of Logic: If the Leafs move Reimer, it’s pure incompetence. Finally, the Leafs must recognize that despite Bernier working out even better than expected last year, that outside of maybe three or four super-star goalies, there are very few constantly high performing goalies on a year to year basis. Putting all their proverbial eggs into the Bernier basket is idiotic. I am sorry for being so hash, but there is virtually nothing to suggest that he will be as good as he was last year before his injury and counting on him to do so is preposterous. It’s nice if it happens, but you can’t just assume it will and get rid of a guy who could easily be as good. Last summer, when the Leafs first made the Bernier trade, I didn’t see it as an insult to Reimer. I saw it as a progressive move that recognized the volatility of the goalie position – I thought that Nonis was smart to play the odds and have two capable goalies instead of just blindly hoping for one to do it all. If, however, he gets rid of Reimer, it shows I was wrong and that I gave him credit for something that was just coincidental. Look, it’d be nice if Bernier becomes a perennial all-star, but the odds are against him becoming a dominant force on the scale of a Lundqvist or a Price. It could happen, but to count on it so much that you move a goalie as talented as Reimer, for next to nothing, is just unconscionable. The Leafs can re-sign Reimer and have one of the best two goalie-tandems in hockey for the price of one star goalie. You can’t let a coach who, barring a miraculous play-off run next spring, won’t be here long-term run a player out of town. 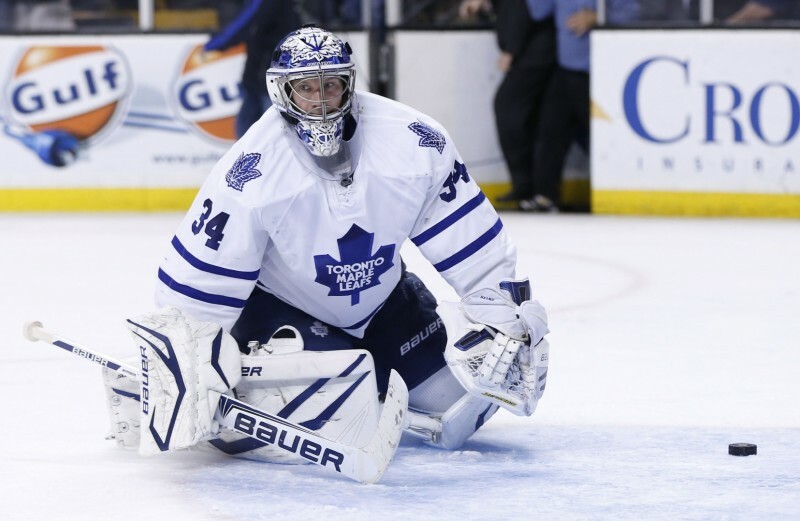 The Leafs need to keep Reimer and it’s so obvious it shouldn’t even be up for discussion. It may, however, be too much to ask of the people who seem to think that trading Nazem Kadri or giving David Bolland $5 million/year are viable options to use logic as a basis for their decision making process.